Hi, friends. I m a retorned missionary of the church, Argentina buenos aires north mission ( 1994 – 1996 ) but right now I m 40 yrs old and I was born in santiago, Chile. my mission presidents weres : pte. Bentley and pte. Udall. 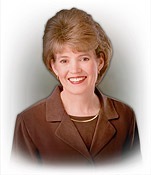 I wanna know where can I obtain again mines missionary tags, because 8 yrs ago living in Chile, I was renting a home with my wife and the home was burnt in a fire. so my missionary tags was burnt. so this way I wanna know How can I obtain again mines tags, I want them ONLY for remember my mission, and show them to my only daughter. please I wanna some reply. actually I m living since 2006 in Spain. Tell me who can help me. You might check with your bishop to see if there is a way to replace your old ones. Our bishop is working on getting a service mission name tag for my disabled daughter who is serving in the family history center. I have a strange question, and I have no idea who to ask. In the near future, I intend to be legally adopted by my stepdad, which would change my last name. I hope to have this name while on my mission, but I want to leave soon, and adoption and name change would cost more than I can currently afford, and would take a long time. My church records and birth certificate all say my old last name currently. 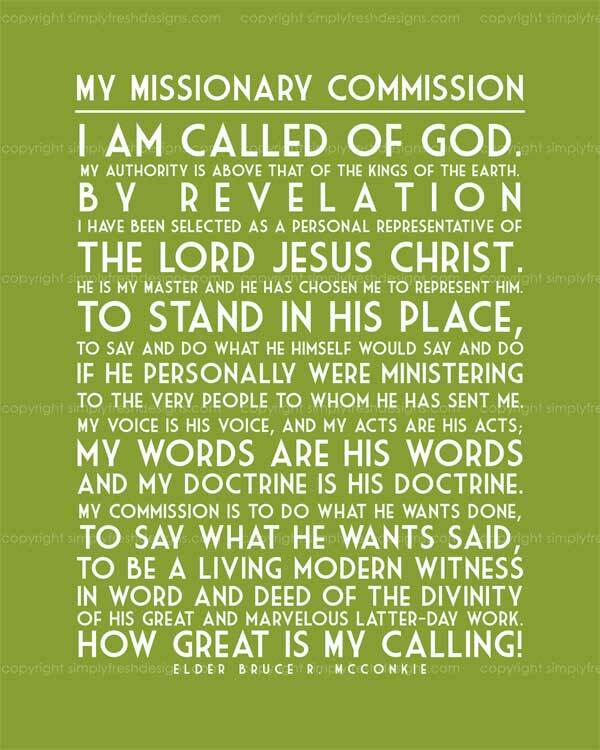 Can I choose what name goes on my missionary name tag? Is there any other way to use my new last name on my tag on my mission?? What do I have to do to have my nametag and mission call say my future last name instead of my legal name?? Getting a name tag with your preferred last name shouldn’t be a problem. When you get to the MTC, they will have a name tag for you with the last name from your Church records. But they do have a procedure, at the MTC and once you get to your mission, to order additional name tags. I’m not sure what the exact process is that you’ll need to follow, but there should be a way to request that your preferred last name be printed on the name tags you order. Good luck and God bless. Do Senior Couple Missionaries need to order their own name tags? Where? We are to be at the Provo MTC in two weeks!! please reply quickly! I’m pretty sure that Senior Couple Missionaries do not need to order their own name tags. A couple of badges will be provided to you when you arrive at the MTC. If you would like to order an extra name tag, the MTC staff will give you instructions on how to do that. Is there a correct way to wear the missionary name tag? On the right or left side or are both correct? Patrice, You may wear the name tag on either side. I recommend, if possible, to wear it on the right side so it remains more visible when you shake people’s hands. But most men wear it on the left side because men’s clothing usually has the shirt pocket on that side, and that’s fine. Can ward missionary wear a name tag? Denise, Missionary name tags are reserved for full-time missionaries, senior missionaries, and church service missionaries. I don’t know of any exceptions to that rule. Ward missionaries usually do not wear name tags. I too am a RM from 82-84 and would love to obtain a nametag like I had on my mission. Is this possible? I have a question that I have not been able to get an authoritative answer to. Indeed no one has been able to answer it even among my Stake Priesthood leaders. 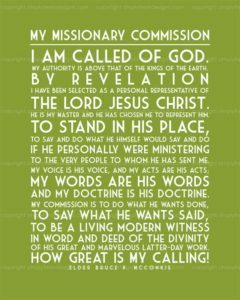 Earlier in my life during Priesthood Leadership Training, (circa 1984) Elder Boyd K. Packer taught me that the Title of -Elder- was reserved for only 1- General Authorities of the Church and 2- Full Time Missionaries. Soon after this training I was called to be Stake Mission President. I supervised about 50 Church Service missionary couples and we also utilized the services of four sets of full time missionaries. All wore the same official name badges of the Church. However the Church Service Missionary Badges said BROTHER BROWN on them – and the full time missionary young men badges had the title ELDER BROWN imprinted. My badge contained the title of President. All the women’s badges said SISTER BROWN. 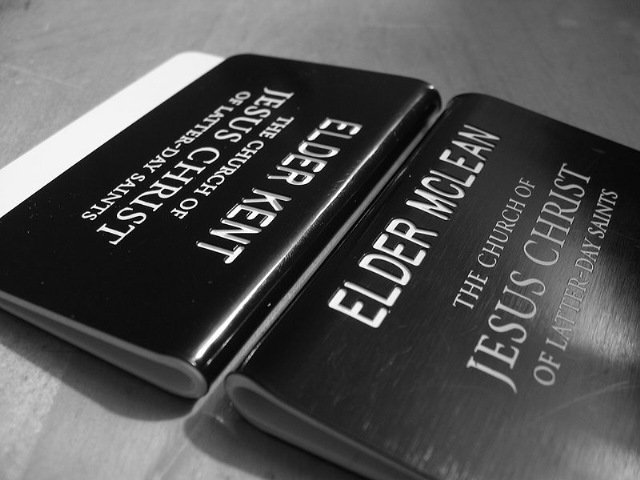 The past several years every badge in Northern Utah is printed as ELDER even when the man is not a full time missionary and when they are certainly not a General Authority. And unfortunately some of these men do not maintain the dress standards, grooming and demeanor of the General Authority. Can you tell me if the church protocol (or courtesy of title) has been officially changed as directed by the Brethren, or has this distinction of title just fallen through the cracks at the level of the badge pressmen? Thank you!